Rudy Giuliani, the ex-Mayor of New York, warned Iran is the country’s biggest fear right now. Speaking after a conference in Paris earlier this month, he said the nation poses a greater threat than both Kim Jong-un and Vladimir Putin. Mr Giuliani was attending a rally in Paris organised by the People’s Mojahedin Organisation of Iran (PMOI), which is the largest and most active opposition movement to the regime. The Paris-based group supports a totally secular political system in the hardline Islamic country. Mr Giuliani said: “Iran is our biggest enemy, Iran is our fiercest enemy. It is the greatest danger to freedom in the world. “Our long term danger is Iran. “Iran [is] a bigger threat than North Korea, it is expanding into an empire. North Korea is contained. “They have more technological capability and they have what is truly an insane regime. Tensions between the US and North Korea are at an all time high. The secretive state has repeatedly threatened to blast the US with nuclear weapons, with supreme leader Kim even saying it would be a "piece of cake" to drop a nuke on the country. 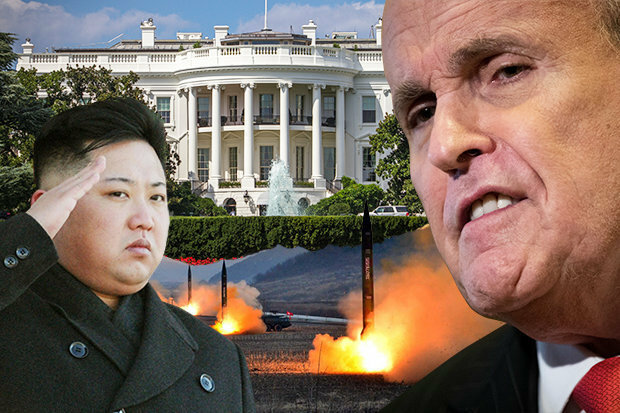 But Mr Giuliani, who was Mayor of New York at the time of the September 11 terror attacks, warned the Iranian regime’s downfall can’t be brought about via military action. He said it would happen through a civilian revolution within the Middle Eastern superpower, which the United States can only help bring about through economic sanctions. “The [regime change] needs to happen from within. How did the regime change in the Soviet Union or Poland or in the Czech Republic? No army came in. "The people finally rose up and they were just too much for the military to contain,” he explained. 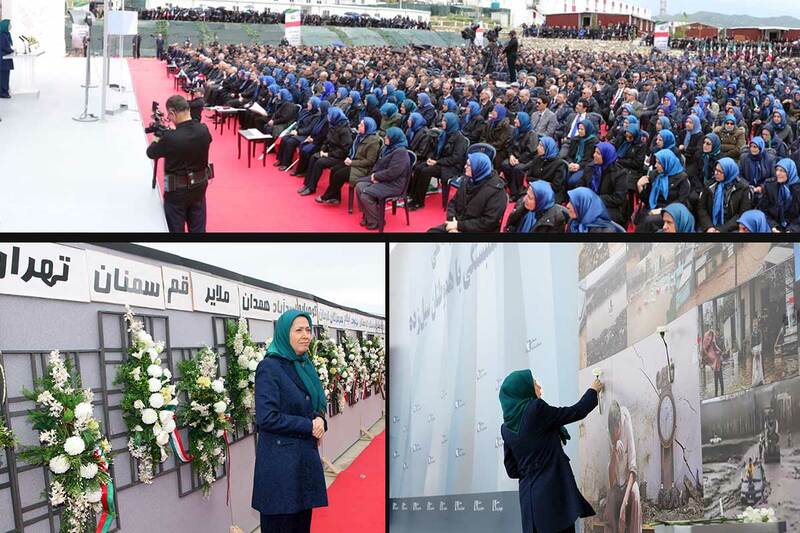 His comments come as the PMOI again accused the international community of ignoring the global threat posed by Iran. Last year, Europe and the United States, under President Barack Obama, lifted sanctions – including oil and financial penalties – placed on the country over its expanding nuclear programme. 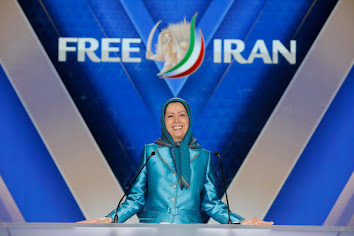 They also unfroze approximately $100billion of its assets after inspectors said crucial parts of its nuclear capabilities had been dismantled – something the PMOI claims is a lie. Urging the reintroduction of sanctions, Mr Giuliani said the US has the power to tighten the noose around the regime. He said that because three-quarters of substantial global trade is done via American banks, Iran could be squeezed financially to such an extent it would spark major unrest in the country.